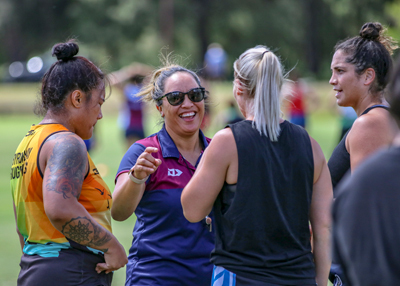 Moana passion for rugby has stuck with her throughout her entire life and when her body got the better of her, she knew it was time for her to step into coaching. 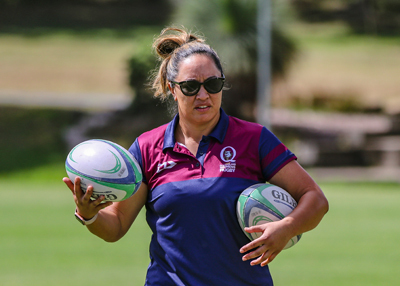 Moana now has the privilege of head coaching the Queensland Women's XV team and has some stories up her sleeve regarding her journey through this male dominant sport. Question: What originally inspired your passion for Rugby? Moana Virtue: Growing up in NZ, Rugby is sort of in your blood, every small town has a Rugby club. My Nan played, my Koro and Dad were Maori All Blacks and every Saturday growing up you always went to Rugby. Once I started playing I loved the physicality of the game, the learnings around trying to create opportunities, but probably what kept me in the game was the team camaraderie. I've meet all my best mates through Rugby it's what's kept my passion alive. Question: How does your family support your passion for Rugby? Moana Virtue: Well lucky my family is Rugby mad as well, so it's easy. But my husband (Damon) also coaches so he understands the demands of the role. But it is hard trying to juggle Rugby, working full time as well as giving time to my husband, son and dog, unfortunately sometimes one area has to give which is difficult. Question: What challenges have you had to overcome being a female in a male-dominated sport? Moana Virtue: To be honest I haven't really seen it as an obstacle, I have been well supported by my club Sunnybank as well as Queensland who give me opportunities. I have meet some quality people along the way, both female and male, who have imparted some great knowledge. I've had top coaches from ex rep players, All Blacks and mentors like Pat Lam, my Dad and my husband, who are supportive of my coaching, so for me I'm confident and comfortable in the sport. Question: What advice do you have for other females who want to play Rugby? Moana Virtue: Go to your local club, join up and just rip in. Rugby is a tough sport, but if you can push through a little bit of pain you will love it. We have a lot of new girls join every year, but we also have girls who do not return because it's too hard. So if you can mentally push through pain and be committed you will grow and become part of a bigger and better family, a Rugby family. Question: Are you able to talk us through your 2018 highlights? Moana Virtue: Being an assistant coach for the Wallaroos was probably my biggest highlight. It was a goal, which I had made probably four years ago when I was coaching Queensland, so was super stoked to get that opportunity. Winning the AON University 7s Series was another highlight considering we came third in 2017. My club side Sunnybank winning a fourth consecutive title. 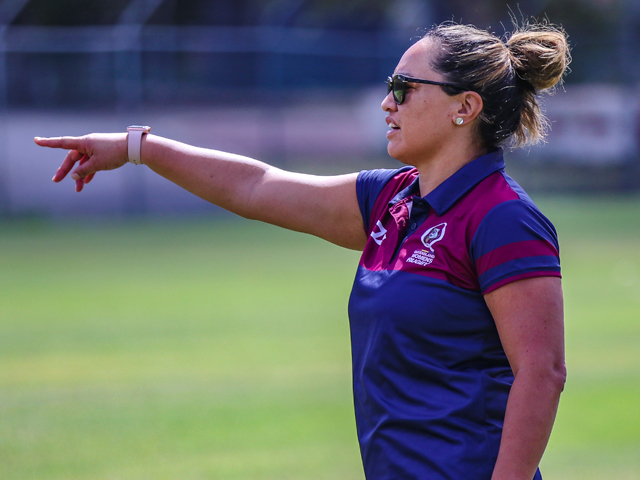 Getting the Queensland Women's XV head coach role again. Also my players going on to higher honours whether it be with Queensland, the Wallaroos or Aussie 7s shows we're developing girls. Question: What's a typical day of coaching like for you? 8.30-9pm - HOME - Hopefully someone's cooked! Question: How did you feel when you found out you were the first female in 15 years to complete the country's level 3 coaching accreditation? Moana Virtue: Yeah I didn't realise that, as I know two female coaches that have their level 3 accreditation, but it was very humbling and I'm very lucky to be given the opportunities I have. Question: What do you think will work best to get more women involved in Rugby (both coaching and playing)? Moana Virtue: Come and try programs are a good way to give new players an opportunity. Also promoting both 15s and 7s as there's a game for all shapes and sizes. Ensuring we have good coaches in our club sides so we keep the first timers in our sport and giving them a good experience. Regarding female coaches I think it's confidence that stops more women coaches emerging. I started as a player coach so this was a good introduction into coaching and having a good mentor as well. Question: Your husband Damon coaches premier grade at Sunnybank while you look after the women's team, what is a typical week/weekend for you both? Moana Virtue: High fiving each other at the front door (laughs). Sundays/Mondays are normally reviewing/planning; Tuesday, Thursdays and sometimes Wednesdays are training days. Saturday is a Rugby day, so that doesn't leave much time. We try and plan weekends or holidays away, but it's all around rugby and try and date night once a fortnight.